Thomas Arthur “Art” O’Neal, III, 62, passed away Saturday, April 6, 2019 at his residence surrounded by his family. Born August 20, 1956 in Florence, SC, he was the son of Thomas Arthur O’Neal, Jr., and the late Annie Chaworth “Chaty” Hayes O’Neal. Art was a third-generation farmer and attended Mars Hill College. 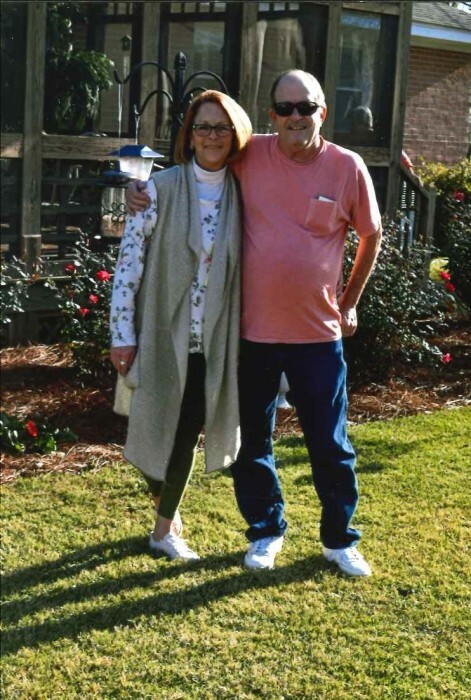 Art was a loyal husband and friend, who enjoyed hunting, fishing, and Billiards. He was a member of Brownsville Baptist Church and the Beaver Dam Fishing Club. He is survived by his loving wife, Robin Brock O’Neal, who he affectionally called Wheel; sons, Thomas Arthur O’Neal, IV and wife Joy of Colorado Springs, CO, Robert Luther “Luke” O’Neal and wife Sabrina of Chattanooga, TN, and Samuel Brock O’Neal of Asheville, NC; his father listed above; sister, Donna O’Neal of Columbia; grandchildren, Brock Hayes O’Neal, Charlotte Claire O’Neal, and Elizabeth Kate O’Neal. He will also be missed by his cherished friends Lutie Allen Weatherly and Cathy Brock Hunter. He was preceded in death by his mother listed above; his sister, Melanie O’Neal Cavenaugh; and his infant son. A Funeral service will be held at 11 a.m. Tuesday, April 9, 2019 at Brownsville Baptist Church, with burial in the church cemetery. A visitation will be held from 10 a.m. until 11 a.m. just prior to the service in the church. Memorials may be made to McLeod Hospice or McLeod Center for Cancer Treatment & Research, P.O. Box 100551, Florence, SC, 29502-0551. On-line condolences may be made at www.bfhbennettsville.com. Burroughs Funeral Home is honored to assist the O’Neal Family.